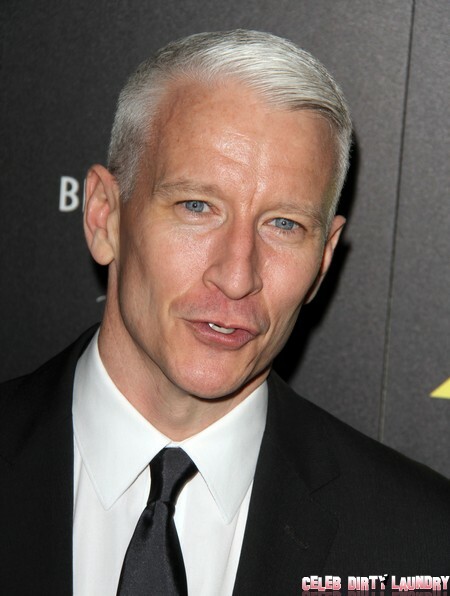 Anderson Cooper might seem like a charming, silver-haired, genial guy to his fans but a new report shows his darker side! The anchor recently lost his syndicated daytime talk show, but is working prime-time on the program Anderson Cooper 360 for CNN. But a change of boss may see Anderson booted out the door, and replaced by none other than Ann Curry. Ann has had a rough year, as Matt Lauer’s personal vendetta against her has forced network executives to boot her from every successful program, causing her to be something of a drifter. But with Jeff Zucker, former Today Show boss, moving to CNN, Ann may find a new home—in Anderson’s chair! As if the perceived demotion isn’t enough, Anderson is livid about the gossip that Ann will replace him. “Anderson sees Ann as a lightweight compared to him. He doesn’t think she’s got enough time in the field to make a great newswoman.” Office politics, huh? Anderson doesn’t have to worry for a while though, because Ann’s contract with NBC “forbids her from working for another news outlet for two years if she leaves.” But Ann’s lawyers are trying to get her out of it. And while Ann may be eyeing Anderson’s job, “she can certainly sympathize with Anderson’s refusal to take a smaller roll at CNN if she comes on board.” Which anchor do you think is best suited for Anderson’s primetime slot? Is Ann qualified, or should she stick to random NBC field reports? Matt Lauer’s Wife’s Ultimatum: If Natalie Morales Gets Co-Host Job I Walk!